It's me, Brigadier, with some funny photos for the day! Let's just say sometimes Lola and I can be show offs. While we wait for Robin to go to Petsmart to get some new fun things for us, we have to find ways to entertain ourselves. 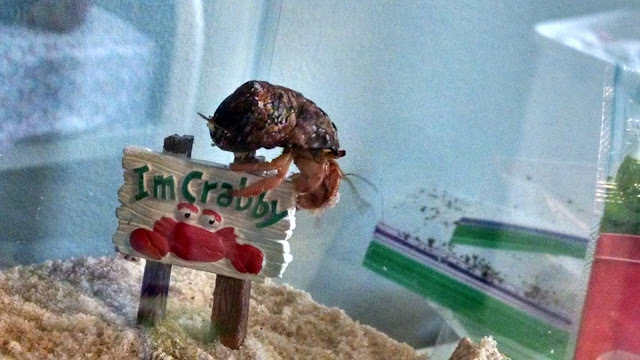 Crabby antics are nothing new in our crabitat! I decided to start our show off session with me climbing up on top of our crabby sign. If only Lola was here to see this! I can see my house from here! I can also see some bird treats that look delicious! I had lots of fun today, y'all! These photos were actually taken at different times of the day and were taken yesterday by our paparazzi. Okay, okay, it was Robin. I climbed up the coconut hut in the morning and at night. You may have noticed some things were arranged a little differently! 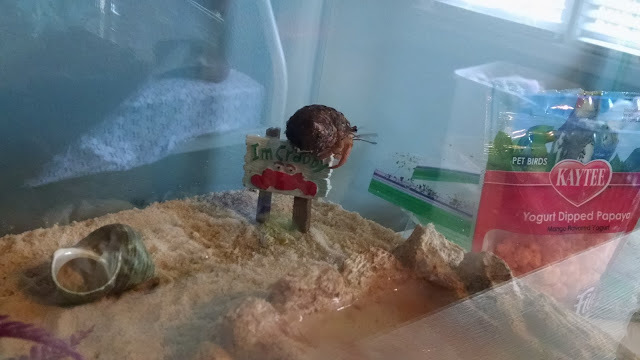 Tomorrow Lola and I will host a hermit crab exercise class and you're all invited! I know that sounds weird but it'll make sense when you come by tomorrow morning. Why thank you, my Dachshund friends. 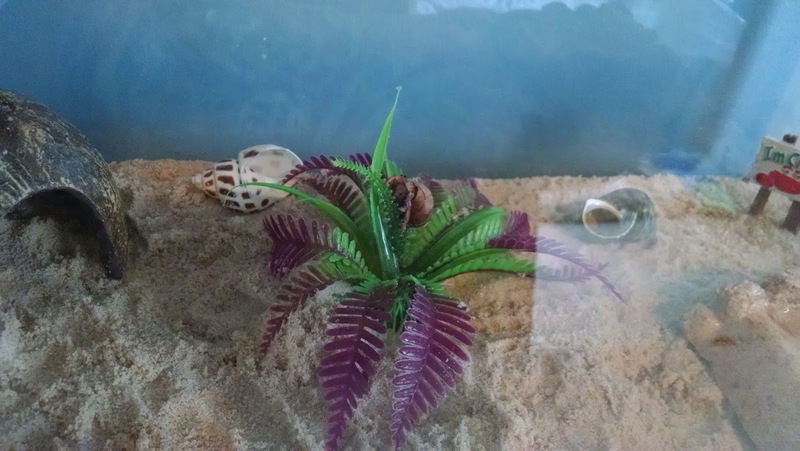 Perhaps it is because of my exceptional diet and stimulation in my crabitat that I thrive in the field of climbing coconut huts. Oh, you both have such long and lovely leggies! Just like us. POL Great exercise and climbing techniques. Why, thank you for the compliments. Us crabbies try to stay fit!